TS Hendrik and I, Sebastian Black (of Creative-Outlet fame), are debating the merits of the director James Cameron, because, well, we get bored sometimes and doing this is better than sticking "I Love Sewage" bumper stickers on random people's cars. But we're also doing this because, as TS once said, "There are people who fervently hate Cameron, and those who worship him like a god." So we each decided to pick a side and try to back it up. If I may use the plot of terminator for a loose metaphor, my dislike for James Cameron puts me on the side of the humans. There's no denying what Cameron has contributed to the film world. He's a technical monster who has been responsible for incredible innovations. But at that same point he's also like a magician, distracting you with smoke and mirrors. When you start paying attention more to the writing, you find a plethora of two dimensional characters, that have a couple quick personality traits substituting for real arcs. The stories themselves are generally unbalanced and tend to dip in the middle. And though I could be lynched for saying it, he substitutes cheap reaction in place of emotional connection. Terminator, Titanic... Let's kill the hero! Because obviously those few hours they spent together were real, and true romance, and in no way predicated on fear, or rebellion. Cameron is “like a magician”? That’s a compliment, for which David Copperfield would thank you. So James thanks you too. And “two dimensional characters”? What? So you didn’t watch Avatar with your 3D glasses on? That’s your fault, not his. Oh, wait, you meant … oh, then, yeah, “plethora” is rather appropriate. But what’s so bad about 2D peeps in films that are clearly for entertainment—not for a Nobel prize in Look-How-Complicated-I-Can-Make-A-Fictional-Character. I have two words for you: Alfred Hitchcock. But also two dimensional characters are only a problem depending on the type of story you are telling. If the story is mostly about people and their transformation, like in Rocky or Dances With Wolves, then sure. But if your story is bigger, like Lord of the Rings, or focused on events, like The Fugitive, or about an adventure, like Alice in Wonderland, then characters don’t need to be as developed as much since the movie has a different purpose. Cameron actually carries this further by creating a divide between art and technology. He elevated 3D with Avatar, and brought it up to a new medium. When Piranhas 3D came out he decried their use of 3D, saying that it was basically an art form to create 3D and only some should be allowed to play in the medium. A far cry from what was always at best a gimmick to get butts in seats. Essentially he's arguing that the technical is the art. Forget the story, the passion, the independents, it's all about how you present it. Shakespeare wasn't in 48fps, so I'm sure he'd probably throw him out if he were writing today. Course so would I, but that's just because he'd be going on and on, and I'd be all 'dude, I don't need a soliloquy every time a guy has to use the bathroom'. But here's the point: Yeah, I loved Titanic when it came out. I even bought my own VHS copy (oh yeah...). But it had two things going for it, a ship being ripped in half, and Kate Winslet's breasts. These very much appealed to me as a teenager. But in the following years, I've watched it maybe twice. With Terminator, again, great the first couple times, but it wears through. Once you get past the top layer, it's pretty hollow underneath. I'm not saying Cameron's alone in this, just saying that he generally gets treatment one of two ways, either he's hated, or he's treated like a god. Shoot, that was a good point. Technology an art? Did he really say something like that? Technology is a tool, James, you doofus! And, yeah, unfortunately his movies lose a lot when they move to the small screen. But TS, you lose points for dissin’ Shakespeare. 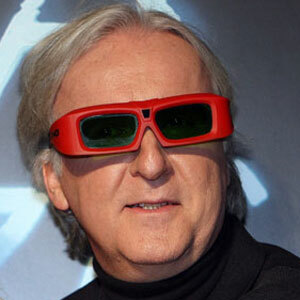 I don't hate James Cameron. If I actually used those words, it was because I tend to exaggerate. Truthfully I have nothing against him. He makes popcorn movies, which is great, I just don't think they should be elevated above that. As a person he's made statements that make me think he's less than a stellar guy to know, but that's never influenced whose movies I watch. I'm not even going to pull in his whole 'finding Jesus's grave' crap. Doesn't bother me if he's got to spend thousands of dollars to try and make himself feel better about his choices. To each their own. What I will say is that his new endeavor to mine asteroids is the right step for him. Forget cinema, here he stands a chance at accomplishing something of value that will stand the test of time. Unlike his resume of films, which like all other technical based films before, will one day feel outdated as the technology he has helped to create, surpasses his own creations, leaving them behind. Way to create the cinematic equivalent of Skynet Cameron. One day, you won't be back. Have to disagree on this one. His films definitely deserve to be elevated above “popcorn movies”. The Terminator-world he created, has been liked and expanded to such a degree that it now has a secure place in the annals of sci-fi. And Titanic is so much more than a love story—I’m not sure why so many people don’t see that. He put you on that luxurious legendary ship for three hours. He made you a passenger. The love story was secondary, to give us someone’s eyes to see the Titanic tragedy through. He had them run around all over the place (1st class, 3rd class, boiler room, decks) to allow us to get to know the real main character: The ship. We were supposed to grieve for it, not Jack and what’s her name. And Cameron accomplished this like no one else ever had. Also, I can’t let you have the special effects thing, either. Tech advances don’t look dated if they’re handled right. I think light sabers and velociraptors have proven that. (And c'mon, Gone With the Wind still looks great with the special effects it used over 70 years ago.) Many (not all) of Cameron's effects will still be good in the future. I think people just hate (or some less-exaggerated word) him for his record-busting successes. Terminator I and II are among the greatest movies ever made. I've enjoyed them over the years and they haven't lost their appeal. Titanic is still great. Avatar is amazing. And just watched True Lies recently and still did that film. Cameron rocks! I too stand on the side of the humans! You have seen many of his movies but is thre even one that you can argue is a GREAT movie or one that deserves repeat veiwing. I can only think of one - Terminator - since Cameron started to think his tech was more important than story was the moment when his films went into the crappy for me.